One key reason why Android rules over Nokia Symbian, Asha, Blackberry, Samsung Bada and other operating systems is the simplicity of the OS and its robust security features. Security in most of the non-Android devices is limited to password management. In Android, every app that uses smartphone features like camera, GPS, WiFi, network, etc must include a set of permissions in its manifest file. For example, the popular messaging apps like WhatsApp, Telegram, line, hike uses your HTC, Google, LG, Sony phone’s wifi or Internet connection. 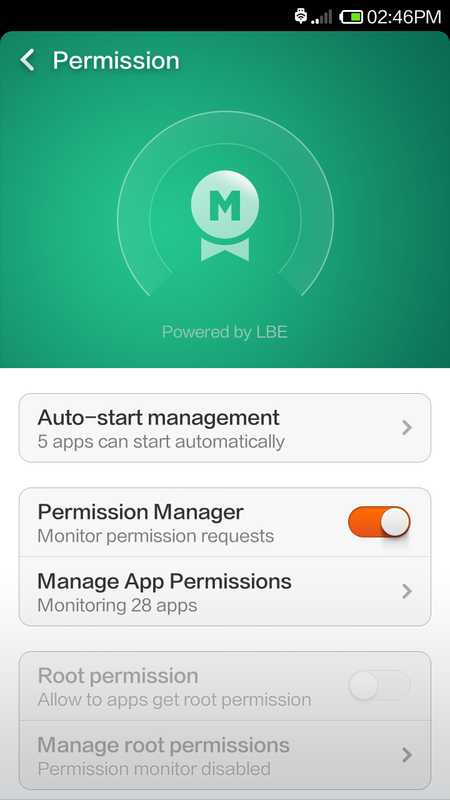 Before the app connects to the WiFi or uses mobile data, it asks for permission to access the two services. If you don’t grant the permissions, it can’t send MMS, SMS, and other files to your friends. If you are not able to send messages, then you should check apps settings in security manager as it is being blocked from accessing the internet. Similarly, if you are getting camera could not be opened or cannot connect to camera error when trying to use an app then you should change its settings. To do so, open security manager utility on your smartphone. Run the permission service. Tap on app permissions. You’ll see a list of software installed on your phone. Tap on cameramx (or any other app that uses your phone’s camera). Change the camera permission to allow. Done! If you’re having a problem with a location-based app, then you should change the app’s GPS permission. You can use the above method on Android phones or tablets with XIAOMI MIUI, CyanogenMod, Samsung TouchWiz user interface. You can also try clearing the cache file created by the app. To do so, open the app manager utility on your phone and select the camera app. Tap on the force stop option. Now, tap on the storage option and select clear cache. Once the files have been deleted, restart your mobile phone. You should be now able to use the front as well as the rear camera of your device. This is the most effective solution. Do try it out! Previous articleHow to take screenshot in Redmi 1s, Huawei Honor Holly, Moto E?